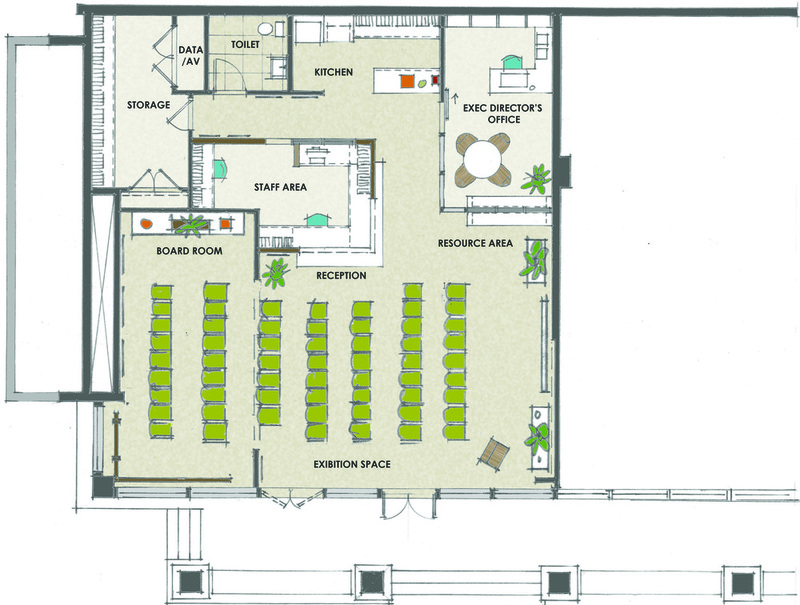 AIA Honolulu Center for Architecture — Geoffrey Lewis Architect, Inc. Nationally, a handful of cities such as New York, Seattle and DC have opened Centers for Architecture, places that are meant to celebrate architecture and its role in our communities. The new AIA Honolulu Center for Architecture joins this national trend, and is now a valuable resource for AIA members, other industry professionals and the community at large. It provides a hub for collaboration, learning and exploration. In addition to expanding member services and events such as seminars, lectures and meetings, the CFA is exploring new programs that will be open to the public. These programs will encourage dialogue between architects and the community. The storefront façade on Fort Street Mall provides for excellent vehicular and pedestrian visibility. Signage, color, and activity inside create an inviting opportunity within our urban fabric. Flexibility allows the CFA to accommodate a variety of functions, from private conferences to large lectures and exhibitions. Regarding budgets and green strategies, our design approach was to keep the existing where possible, utilize reclaimed materials and incorporate green products. For the most part, MEP infrastructure was kept intact. Most importantly, this could not have been done without the incredible generosity from members of the building industry.